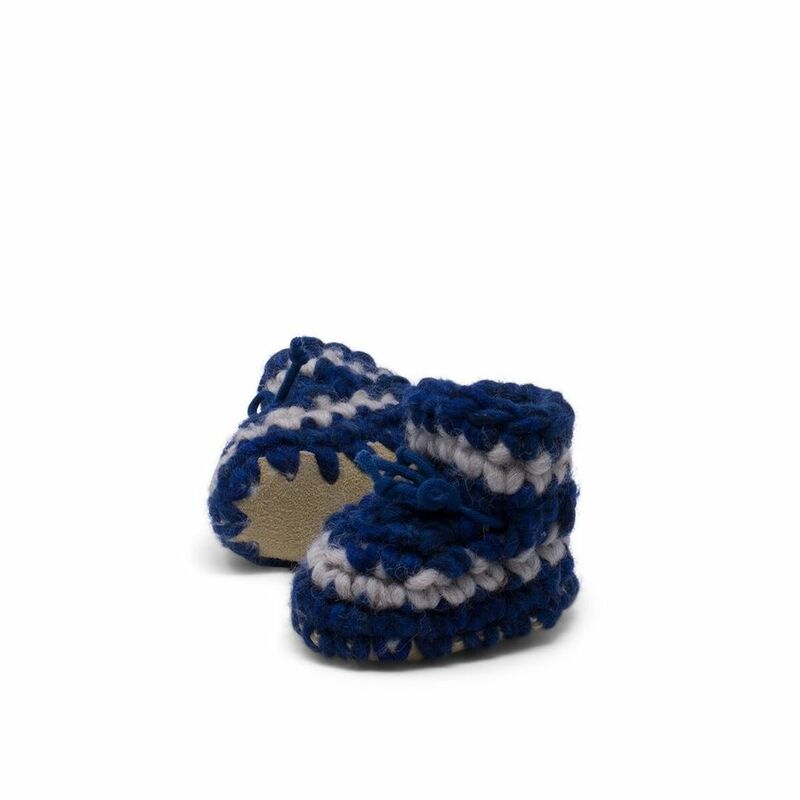 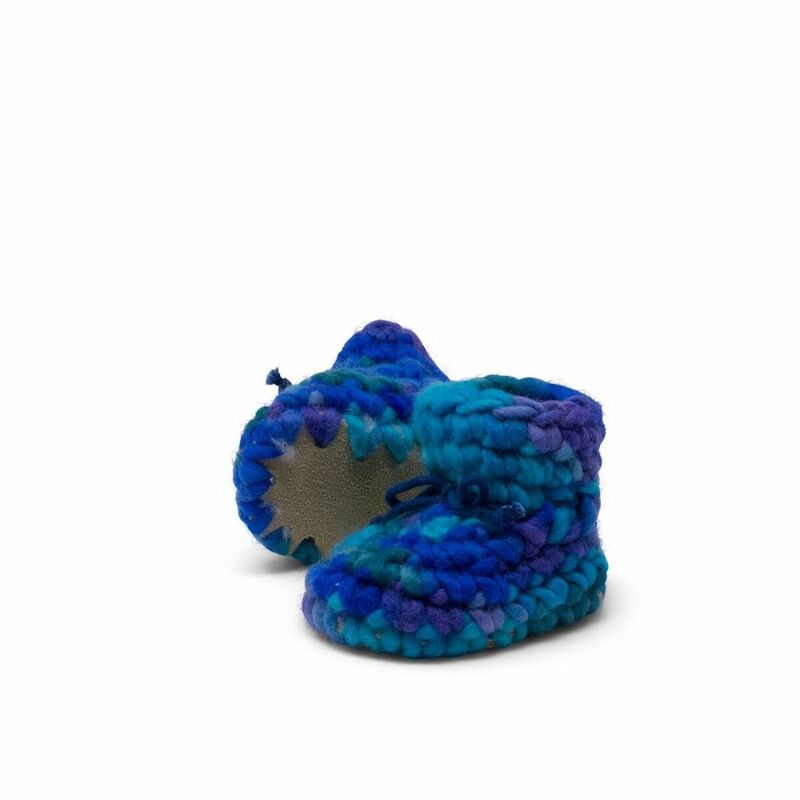 Soft and woolly newborn slippers. 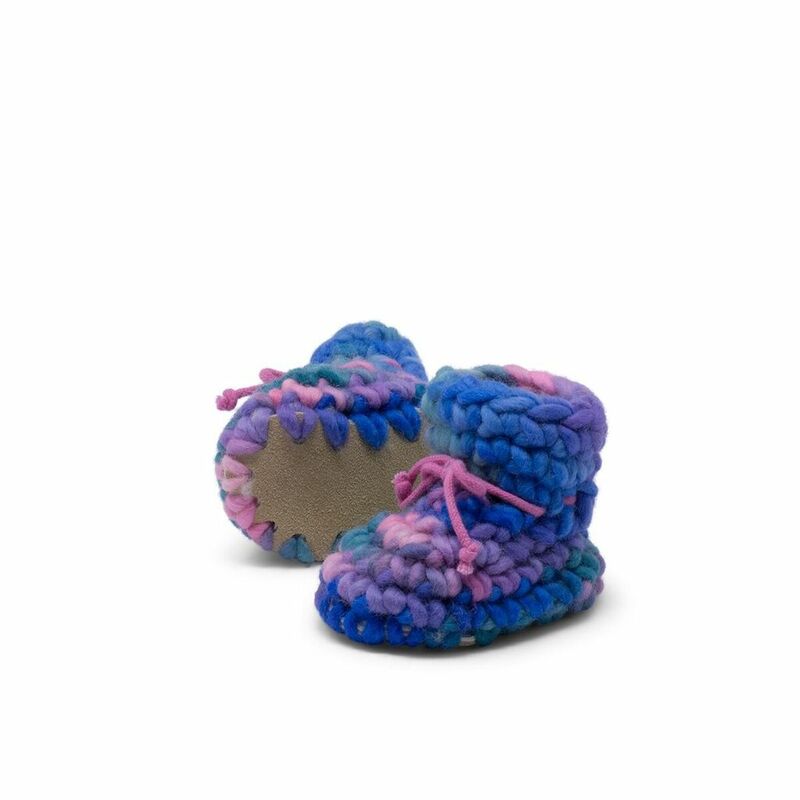 Made by hand with natural materials these slippers are the cutest slippers you have ever seen. 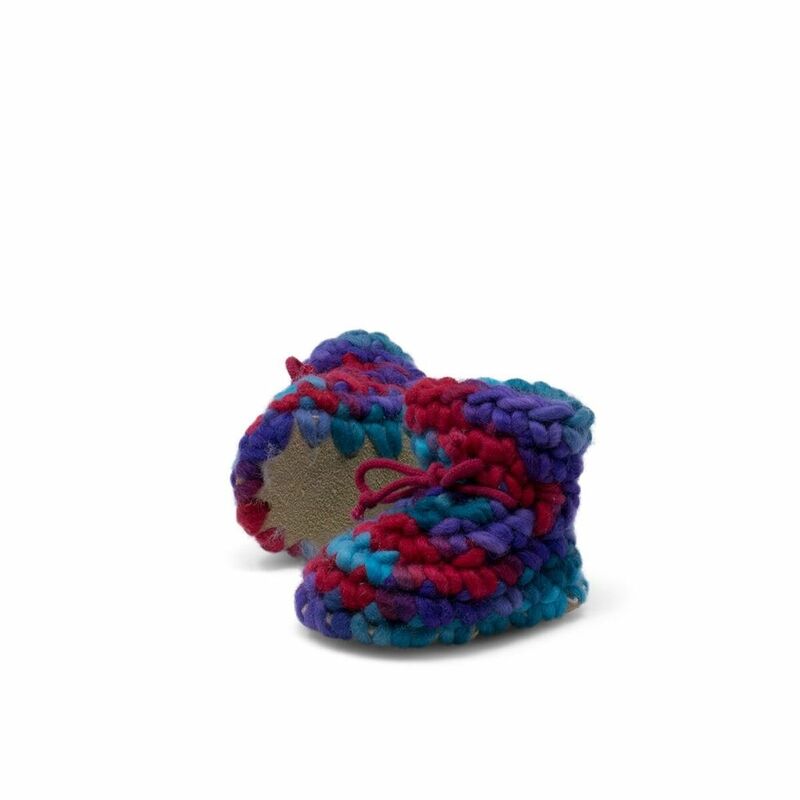 Ultra comfortable for your little one and made of lovely vibrant colours that will delight the whole family. 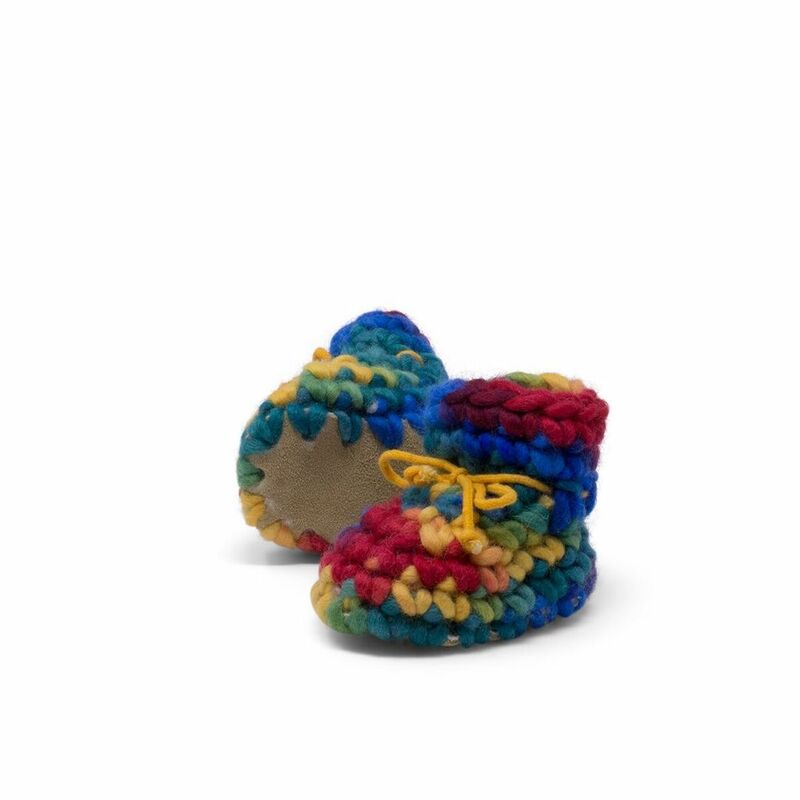 As each product is handmade we are unable to accommodate specific combination requests for our 4 multi colourways-pink multi, blue multi, red multi and rainbow.